I have always been fascinated by human structures overtaken by nature; collapsed barns now covered in grasses, old homes shrouded in thick vines, rusted cars with trees growing through the center. 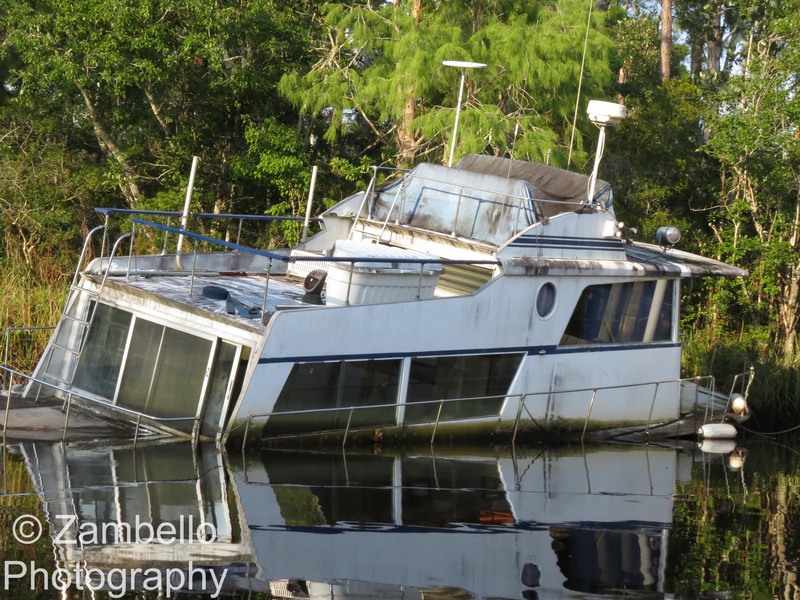 Here in Florida, what I see most often are sunken boats. One evening my husband and I decided to explore Easy Bay near Pensacola. We put in the boat on East Bay River, a gorgeous waterway lined with greenery and wetlands. The setting was setting, casting a golden light along the shore. Barely a few moments from the boat dock we motored past a huge abandoned boat, sitting next to a functioning dock but sunk deep into the water. Its deck was completely submerged, and the vessel slightly tilted. 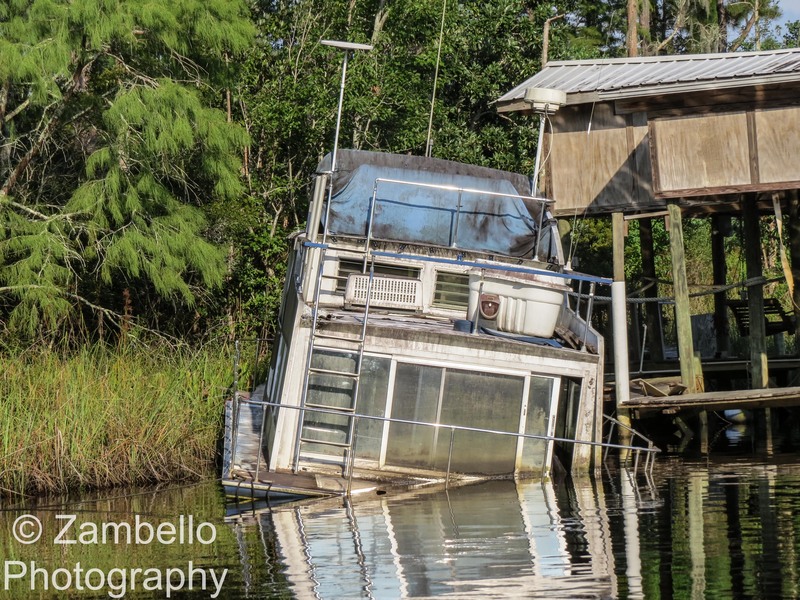 Other boats on the waterway were not completely sunk, but had been abandoned in the grasses, slowly rotting as they remained exposed to the elements. Honestly, they were rather sad looking. Something about terrestrial structures taken over by vegetation gives them a mystical, mother nature feel; abandoned boats give off the overtones of a disaster. It’s impossible to keep from wondering if the sinking was an accident. Were people injured? Did they die? For the boats I saw, I doubted this was the case. More likely, they had sprung a leak while moored, the owners being unable to save them, and then unable to pay to move them. Still, the landscape that remains is a little depressing. I’m thinking about collecting these types of images – both terrestrial and aquatic – to create a photo essay on what happens when nature takes over. Hopefully I could pull the photos from around the country, maybe even around the world! What do you think?